The Rise Of Podcasts: The New FM panel explored the rise of narrative storytelling, reporting and interactive journalism with some of Pulse Nigeria’s top podcast hosts and new media producers. From tips on how to create your own podcast to how to monetize and build a captive audience, speakers at the session were generous with sharing knowledge. Did you know the global podcast audience is constantly growing with over 57 million listeners worldwide? Did you also know 64% of podcast listeners listen to podcasts on their smartphones and that 69% of weekly podcast listeners consume 5 podcast shows weekly? Here are some intriguing thoughts from speakers you may want to consider if you’re looking to start your own podcast, become a podcast listener or invest in one. On the rise of podcasts, Andre Blaze notes that more and more people are looking to connect in ways they have never done before. While radio appeals to the mass audience, podcasts target very specific audiences made up mainly of people who want to hear a “different sound”. Visual media requires full attention but you can multitask when listening to podcasts, making podcasts ideal for people who would prefer to do more than one activity while getting entertained. Two main factors have led to the rise of podcasts: technology & the need to connect. 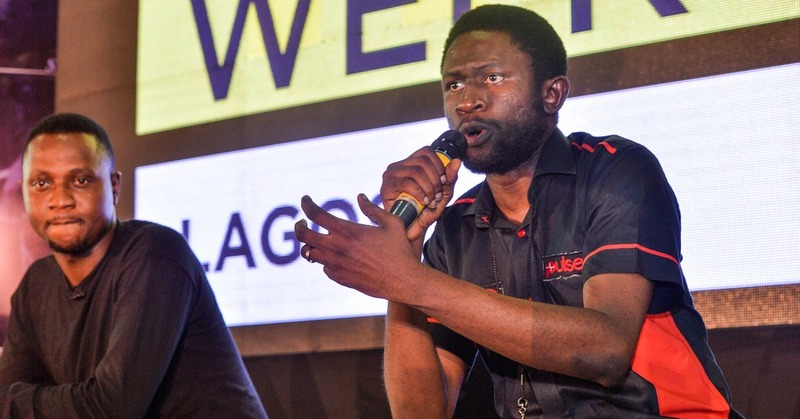 For aspiring podcasters and new podcasters, Osagie Alonge the Editor-In-Chief at Pulse.ng advises that you take a look at the analytics and know the kind of people listening to your podcast. To grow your podcast audience, develop a very rhythmic or consistent posting schedule. So, what’s your take on podcasts? Are they the new FM? Is Andre Blaze right to predict that “It’s unavoidable that podcast will take over radio”?